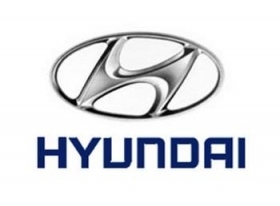 SEVILLE, Spain – Despite economic challenges in Europe that have caused rivals to reduce output targets, Hyundai aims to set a new vehicle production record at its 3-year-old plant in Nosovice, Czech Republic. After making 250,000 cars at the plant in 2011, the automaker is aiming even higher this year. It has expanded installed capacity to more than 300,000 units and added a third shift. "This year, Nosovice will have an output of 45,000 units of the ix20, more than 90,000 units of the ix35 and almost 110,000 units of the i30 specifically for Europe with the remainder sold in neighboring markets," Hyundai Europe Chief Operating Officer Allan Rushforth told Automotive News Europe on the sidelines of the press launch here for the new i30. "In 2012, we plan to set more records. We are targeting a European new-car market share of 3.5 percent from 2.9 percent in 2011," Rushforth said. He declined to give a precise sales target because of Europe's economic volatility. "It's difficult to accurately predict sales volumes – so we concentrate on market share," Rushforth said. "It's the best way to assess performance against our peers." Hyundai Europe plans to set more records in 2012, COO Allan Rushforth says. Last month, however, Hyundai Chief Financial Officer Lee Won-hee said the automaker would raise sales in Europe, including Russia, by 15.4 percent to 465,000 vehicles this year. Rushforth said: "We are in a great position to gain market share in key regions for us, thanks to our expanding product portfolio. We are introducing new cars in new segments for Hyundai, helping us to achieve organic growth in Europe this year." Rushforth reconfirmed the company's target of 500,000 annual sales in Europe by 2013 at the latest and a 5 percent market share by the middle of the decade. "We have an opportunity to grow more quickly in Europe than in other markets – given that our European market share in January 2012 was 3.3 percent – compared to a global market share of more than 5 percent. This headroom in the mature markets of Europe provides the space for our brand to grow," he said. When asked for a forecast on the overall European new-car market for 2012, Rushforth said the best-case scenario would be a 1 percent decline in new-car sales. "However, this could be as much as 5 percent depending on how things develop in Europe over the course of the year," he said. To keep up with its rising sales, Hyundai Europe plans to increase the size of its 100-person staff. "Our plan is to double our headcount during the next three years – we'll need to do this to achieve our ambitions of becoming a leading European automaker," Rushforth said. The automaker also plans to move its German division's headquarters from Neckarsulm to the company's European base in Offenbach, near Frankfurt, within the next two years.